The UC CEIN brings together scientists representing a wide range of disciplines (e.g., engineers, chemists, ecologists, marine biologists, toxicologists, and risk analysts). In doing so, it offers a rich educational and research environment for both undergraduate and graduate students. The UC CEIN will offer a variety of courses and activities as part of its education and outreach efforts. 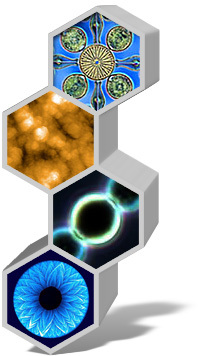 Currently, coursework in the new discipline of nanotoxicology is available. Annual international meetings will be coordinated with academic researchers and educators, individuals from government and nongovernmental agencies, and the general public in order to better address areas of national and international need as related to the environmental impacts of nanotechnology. To meet the growing need for the safe handling and disposal of nanomaterials, two course modules will be offered to a variety of professionals. Nanotechnology and the environment is an overview course designed to introduce students to the unique properties of nanomaterials and their possible toxicity; the synthesis and physicochemical characterization of engineered nanomaterials; and nanomaterials' potential for transport, reactivity, uptake, and toxicity in the environment and in the body. The Nanotoxicology Research & Training Program provides courses on nanomaterials, their potential toxicity, and risk ranking. Through the education of future scientists, the program seeks to integrate nanomaterial safety into the broader nanoscience community to ensure the safe implementation of nanotechnology in society. For more information on the program, visit www.cnsi.ucla.edu/nanotox. To promote effective communication with the public, the UC CEIN will operate workshops whereby journalists and scientists can develop constructive relationships and foster interaction through various mechanisms.